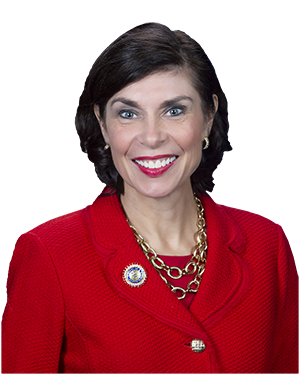 HARRISBURG – The Senate took an important step today by unanimously approving legislation that would strip state pensions from lawmakers, state officials and employees who are convicted of or plead guilty to a job-related felony, according to Senator Kristin Phillips-Hill (R-York). “When I tell taxpayers in York County that a former state senator used his position to defraud the taxpayers by using his senate staff to do political work on state time, was found guilty on federal conspiracy charges, served time in prison and still had his $20,000 a month or his $246,000 a year pension restored, they are outraged,” Phillips-Hill, who is a cosponsor of the bill, said during Monday’s Senate Session. “The bottom line is this: If you are convicted of or plead guilty to any job-related felony as a lawmaker, state official or state employee, you will suffer the consequences,” she added. Senate Bill 113, sponsored by Senator John DiSanto (R-Dauphin/Perry), heads to the House of Representatives for its consideration. You can watch Senator Phillips-Hill’s speech in the Senate Chamber, where she asks for an affirmative vote of Senate Bill 113, here. You can listen to Senator Phillips-Hill’s speech in the Senate Chamber, where she asks for an affirmative vote of Senate Bill 113, here.